It is a simple sheet type functional mask which brings you direct skin ample nutrition. 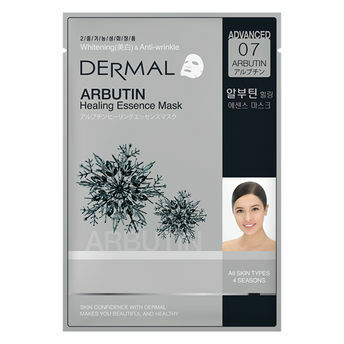 The Dermal Advance Arbutin Healing Mask has great skin moisturizing and anti-aging benefits. It is made of arbutin and niacinamide thus, it keeps your skin always bright and clean. It is made of arbutin which is very effective for keeping skin clean, soft and supple. It prevents skin aging and transforms dry, tanned skin to brighter, smoother and refreshed.